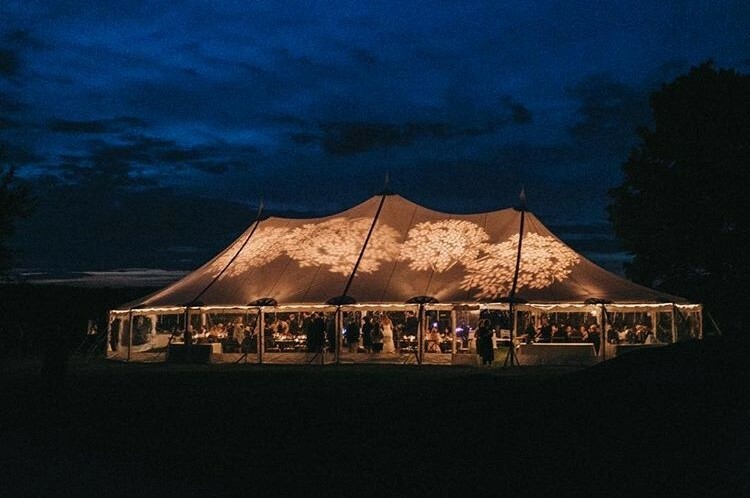 The Event Company also offers its popular Tidewater Sailcloth tents, which allow warm natural light to peek in during day functions, and can be lit to radiate with a warm glow for night celebrations. Never has a marriage been so perfect! The Tidewater Sailcloth tent brings a marriage of style and romance together under one tent. Whether you are looking for the soft glow of the Tidewater under the stars, or the translucent effect of the natural light of daytime events, you cannot help but feel cherished under this tent! The Event Company offers beautiful wooden side and center poles for an added elegance.